Places of Worship | 52 Week Photo Challenge with Some Pretty Creative Themes! Photographers always seem to have their favorite subjects of choice. For me, one of mine has always been places of worship. Before I even knew I liked photography, I had always stopped to capture such beautiful places on film. This past Sunday, we were going to stay in Sarasota and attend mass but changed our minds and headed to my favorite place to worship which is Harvey Memorial Church located on Church Street on Bradenton Beach. Pastor Stephen King, yes but not that one, shares his heart, time and talent with the lucky few. The Anna Maria Island community is lucky to have him as he doesn’t even reside on the island. He works full-time for Meals on Wheels in Tampa and drives down every Sunday to share his good word with us and his words are straight from his heart to ours. His sermons are extremely impactful and challenge you to become a better person. You can’t help but leave with a happier heart than what you arrived with. 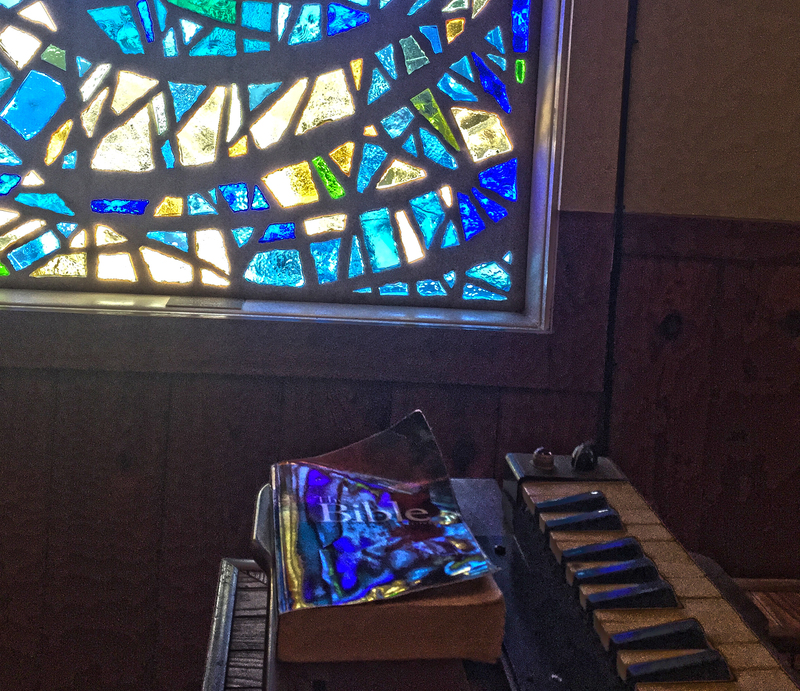 I went to the alter after church ended and saw the stained glass window reflecting on The Bible. I always enjoy the stained glass windows in churches, our current church doesn’t have them and it just doesn’t feel like a church without them! Nice capture of the colors reflected on the Bible.